In the 1930s and 40s, H. Lee Waters created films for the pleasure of his audience. 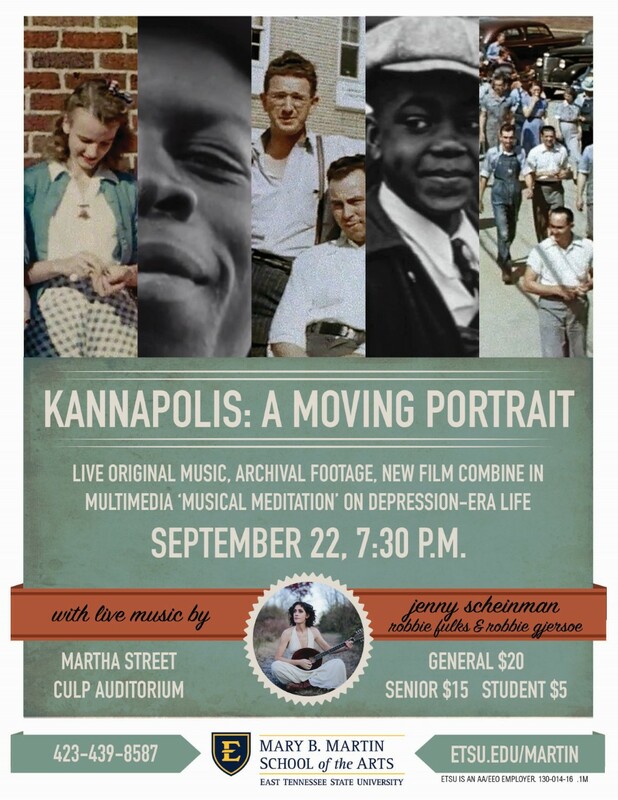 Now, more than 75 years, later Duke Performances is breathing new life into an old piece; this new life being “Kannapolis: A Moving Portrait,” a performance which will be presented at ETSU’s Martha Street Culp Auditorium on Thursday, Sept. 22, at 7:30 p.m.
From 1936 to 1942, Waters filmed people doing everyday activities. He would film them dancing, walking or working, and then, he would share his films with people in the community. In doing this, Waters compiled 118 films of the Depression-era. Now the films are set around singer/songwriter/musician Jenny Scheinman’s written and collected music, and together, they create a new piece of art. Filmmaker Finn Taylor created this new film with Waters’ footage by using Scheinman’s music as the guide. The two forms of art create an entirely new piece that is sure to impress. According to a press release from Mary B. Martin School of the Arts, all three works together create “a portrait of American life from various perspectives.” One could see any topic ranging from childhood to race relations. Scheinman will play live at the event along with Robbie Fulks, who will be singing and playing banjo and guitar, and Robbie Gjersoe, who will sing and play resonator guitar. “There is an innocence and truthfulness here that we have lost to social media, obsessive self-documentation, selfies and YouTube,” Scheinman said. She also says she tried not to make her music for this performance too sentimental but to allow the audience to decide for themselves which emotions the production evokes. Tickets for the event are $5 for students with ID, $15 for senior citizens and $20 for general admission. They can be purchased at www.etsu.edu/martin or by calling 423-438-TKTS.